Network Rail Infrastructure Limited is one of the largest landlords in the county. It recently announced that it has finalised terms for the sale of most of its commercial estate, around 5,200 commercial properties, to Telereal Trillium and Blackstone Property Partners for £1.46 billion. The majority of these properties are converted railway arches. Railway arches have long been a hotbed for small and emerging business of all kinds – including garages, taxi firms, bakeries, manufacturing, and storage units. Some have been occupied by the same business for decades, and in at least one case, by the same family business for over a hundred years. The arches have even made their mark on TV. Phil Mitchell has had a business ‘under the arches’ in ‘EastEnders’ for many years. But are Phil Mitchell and his fellow tenants about to face a rent hike? This is the fear of a pressure group named ‘Guardians of the Arches’, who have had a lot of publicity in the national press recently. The ‘Guardians’ main concern appears to be that they will be priced out and face high rent rises. Network Rail for their part stress that the terms of the sale will include a ‘tenants’ charter’ guaranteeing tenants rights. What this will contain, and how much legal force it will have, remains to be seen. A normal rent review under a lease that has not yet expired may be ‘upwards only’ but it can still be challenged to limit to rent rise or keep it the same. A forthcoming series of blogs on rent reviews will provide a complete guide to the rent review process, so watch this space. If you have concerns about any of these issues as they relate to your commercial lease, contact us to see if we can help. 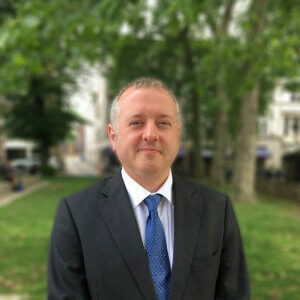 Michael Large is a solicitor at Colman Coyle with over ten years’ experience of the railway industry and lectures for the RICS on a number of subjects including rent reviews. Please note that Colman Coyle has no affiliation to any of the companies or organisations named in this article.